Your journey to healthy skin begins here. Lake Loveland Dermatology offers a comprehensive approach to skin care, performing medical, surgical and cosmetic procedures. Not all dermatology clinics are staffed by people with medical qualifications. However, here at Lake Loveland Dermatology, all our dermatologists are Board-certified medical doctors. This means you can trust us to see to all your dermatology needs. From acne to skin cancer, we have the expert knowledge required to give you the best treatment possible. Here at Lake Loveland Dermatology, we are dedicated to helping you look and feel your best. Not only do we perform medical and cosmetic dermatology, but we also have a fully equipped clear water spa. Here you can enjoy treatments such as deep pore cleansing, which will leave you feeling reinvigorated and refreshed. In addition to providing you with quality skin treatment, we also offer you preventive advice for keeping your skin healthy and looking great. If you have medical or cosmetic issues with your skin, or if you simply want to book a relaxing spa treatment, please give us a call. 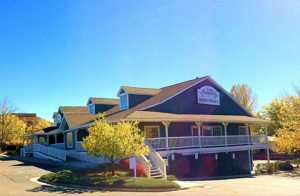 Lake Loveland Dermatology also has practice sites in Estes Park, Greeley, Sterling, and Fort Collins. Contact us at (970) 475-2121 to make an appointment! Lake Loveland Dermatology specializes in both general and cosmetic dermatology performed by board certified medical doctors. Come to the cosmetic dermatology clinic with the skill, experience and doctors to ensure that your skin is safe with us!